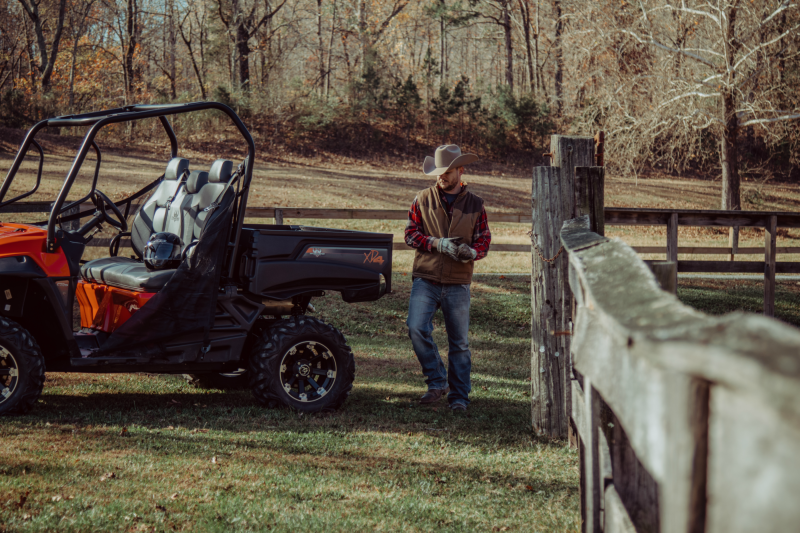 4 Common Misconceptions About UTVs and Side-by-Sides | Intimidator Inc.
From politics to popular products on the market, misconceptions are everywhere. Sometimes these misconceptions are rooted in truth, but many times they are coming from misinformed sources. Whether you call them UTVs, side-by-sides, or 4x4 utility vehicles, they all share a few misconceptions that keep many people from going from spectator to owner. 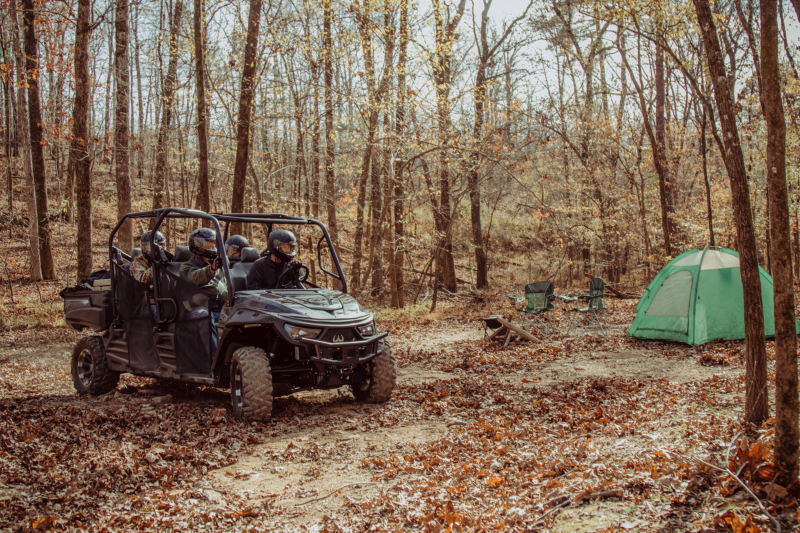 Here are a few of the most common misconceptions about UTVs and a few facts about Intimidator UTVs that cancel them out. While it is true that purchasing a UTV is a big investment, it doesn’t mean that they are out of reach for the average person. 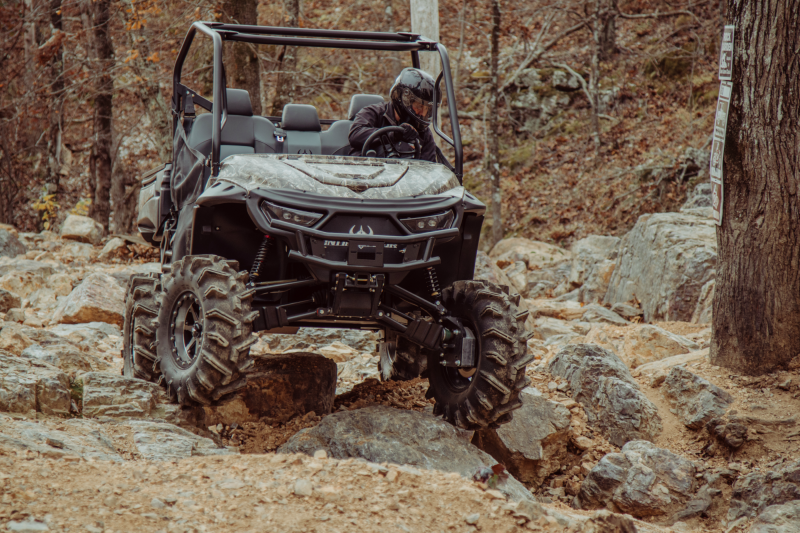 This misconception comes from the fact that there are high-end UTVs on the market that can cost upwards of $25,000 like the Polaris RZRXP Turbo Dynamix that starts at $25,999. However, there are several high-quality, high-performance machines on the market that are also affordable. Take a look at Intimidator’s Classic Series. Not only is it affordable, but it packs the power you need and want in a side-by-side. And with special financing options for those who qualify, taking home an Intimidator UTV is easier than you think. This is probably one of the biggest misconceptions out there in regard to UTVs and side-by-side vehicles. UTVs are great for getting your family out of the house, away from the television, and away from the video games. They allow you to have fun as a family unit and get out and explore your surroundings. The Intimidator Crew Cab Series is perfect for families. It features premium bench seats that can seat up to six adults. And with 3-point DOT restraint belts and a ROHVA (Recreational Off-Highway Vehicle Association) compliant roll cage, you can also feel safe as you and the family hit the trails for a weekend ride. There is a wide variety of UTVs on the market today. However, most people come in contact with basic utility vehicles or extreme sport/racing vehicles. Many don’t realize that there are side-by-sides to fit multiple needs. In fact, Intimidators are designed to help you with your work, to make it easier to hunt in remote locations, and to play hard during your downtime. The ability to take on different aspects of a person’s life is what makes an Intimidator UTV the go-to vehicle for many people. The Enforcer ATV by Intimidator is one ride that gives you the best of both worlds. The Enforcer is equipped with Intimidator’s 800cc gas engine and can speed up to 55 mph. Its factory 4” portal gear lift with other features like power steering give you enough power to tackle the toughest trails and take on remote jobs. There are many people who shy away from side-by-sides due to the misconception that you must have a lot of training and special skills in order to drive one. When you first start out driving a UTV, it is important to learn a few basics and how to operate your vehicle on different terrain and in different weather environments. There are even basic driving courses available for those who have never driven these types of vehicles. However, you don’t need extensive training unless you plan on going extreme with your riding or start racing. Intimidator UTVs are easy to drive and simple to operate. And because they are designed to drive on off-road terrain, it’s easy to maneuver through small obstacles. As mentioned before, buying a UTV is a major purchase. Take your time to research and when the time is right, head on over to an Intimidator UTV dealer near you. Our dealers can help answer any questions and help you find the side-by-side that fits your needs...and your wants. Use our DEALER LOCATOR to find a dealer and get ready to stir up some dust with your new Intimidator UTV.